Dr. James Lynch is a board-certified spinal neurosurgeon with 25 years of experience, who specializes in complex spine surgery, cervical disorders, degenerative spine, spinal deformities, trauma, tumor infection and minimally invasive spine surgery. He is also proficient in endoscopic spine surgery techniques. 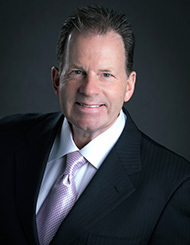 Dr. Lynch has been performing minimally invasive spine surgery techniques since 2002. He was the first neurosurgeon in Reno to perform MIS TLIF and MAS PLIF procedures as well as the first to perform both cervical and lumbar artificial disc replacements. Dr. Lynch performs over 500 spine surgeries per year in both hospital and outpatient center settings. He is recognized as an expert in cervical spine disorders and performs over 200 cervical spine fusions a year. As a leading authority on Ambulatory Surgery Center (ASC) development, Dr. Lynch lectures at national meetings on outpatient spine surgery and minimally invasive spine surgery. Dr. Lynch was a keynote panelist at the 2016 Becker's 14th Annual Spine, Orthopedic and Pain Management-Driven ASC Conference + The Future of Spine. During the panel, entitled "Independence, healthcare business & outpatient spine — 4 spine surgeons discuss the next 5 years", Dr. Lynch emphasized the importance of differentiating the spine practice to both patients and payers. Demonstrate you are "doing something different and you have a commodity and not just a surgical service," said Dr. Lynch. Dr. Lynch is a member of the Society of Minimally Invasive Spine Surgery and the Society of Lateral Access Surgery. Dr. Lynch serves as Chairman and Director of Spine Programs at Surgery Center of Reno. He is recognized as a national leader in outpatient spine surgery. Dr. Lynch contributes also as a Clinical Assistant Professor at the University of Nevada, Reno School of Medicine. He is as well a pioneer in reducing the cost of orthopedic and spinal implants. As a device expert and innovator, he presents regularly on the topic and is a board member of the Orthopaedic Implant Company - OIC. Dr. Lynch is the recipient of the inaugural 2014 High Fives Foundation Community Five Award. Dr. Lynch received this Community Five award because of his medical field expertise along with his natural ability to help others in all walks of life. Dr. Lynch is a 2013 Board Member for the High Fives Organization. He also serves on the Grant Selection Committee and is the Medical Director for the organization. High Fives Non-Profit Foundation based in Truckee, CA was founded by Roy Tuscany. The Tahoe based organization is dedicated to raising money and awareness for athletes that have suffered a life altering injury while pursuing their dream in the winter action sports community. 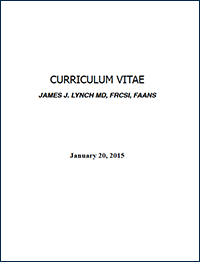 Click here to download a PDF of Dr. Lynch's CV. Click here to download and print out new patient forms for Dr. Lynch.